Project management is one of the fastest-growing industries in the country — so fast, in fact, that employers are struggling to keep up: because of an increasing talent gap, employers will need 87.7 million individuals working in project management-oriented roles by 2027, up from previous estimates of 6.2 million by 2020. In the United States, that translates to 9 million jobs with median six-figure salaries. So how do you start a career in project management? The best way is through formal training and education, after which you can test for one of the industry’s many recognized certifications (PMP being the most prestigious). Still, while a degree in project management offers obvious return-on-investment advantages, many can be prohibitively expensive upfront. 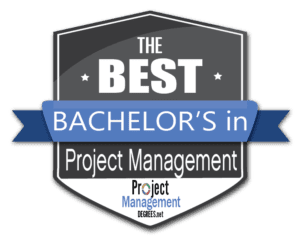 Below, you’ll find our top-ranked affordable bachelor’s in project project management, all available online or through hybrid delivery formats to allow students maximum flexibility. Some things to note: some bachelor’s are in a related field (business, information technology, etc.) with a specialization in project management, and some bachelor’s include additional specialization or concentration opportunities. In particular, you’ll want to look for programs that include an immersive component — a capstone project, internship, practicum, or otherwise — and generally follow the Project Management Institute’s PMBOK Guide, which is the industry standard. Keep reading to find the right degree for your needs! 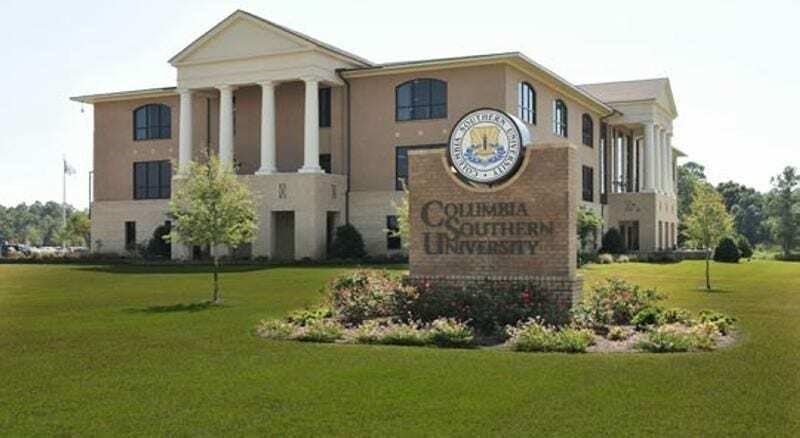 Columbia Southern University, established in 1993, specializes in online education, with over 21,400 students enrolled across a variety of pre-professional, undergraduate, and graduate programs. All CSU courses are designed for maximum flexibility to accommodate a diverse range of adult learners, working professionals, and non-traditional students who have unique and demanding schedules. For those interested in financial aid options, approximately 95% of Columbia Southern full-time undergraduates receive some form of assistance, and despite its large size, CSU aims to emphasize collaborative learning and personalized instruction to create a dynamic, modern educational community. Columbia Southern offers a highly affordable BSBA in Project Management that features 48 major requirements, including concentration courses in Sales Management, Principles of Management, Managerial Decision Making, Risk Management, International Management, and Production Management. From there, students can customize the bachelor’s through elective coursework. While the estimated time of completion is around 5 years, accelerated tracks are available through transfer credits. Program objectives include: utilizing best practices in business for decision making; understanding and interpreting business concepts, principles, and financial strategies; understanding the effects of globalization on individual organizations; and financial statement analysis. Founded in 1966, Bellevue University is a private Christian institution that specializes in online education for working professionals, adult learners, and non-traditional students. With a flexible learning platform, Bellevue students enjoy an array of tools for their education, including 24/7 access to course materials, group discussion boards, live chat rooms, tech support, and video conferencing. 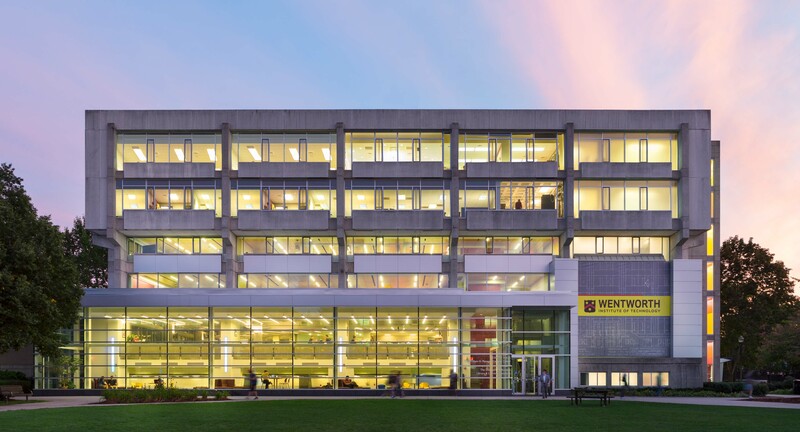 In addition, Bellevue offers several flexible delivery models – such as flex paths, MOOCs, course clusters, and accelerated cohorts – and the 11:1 student-to-faculty ratio means small class sizes, a tight-knot learning community, and individualized instruction. Bellevue’s affordable online BS in Project Management consists of 40 major credits, among them: Business Communications, Project Leadership, Project Cost, Project Quality, Project Procurement Management, Project Risk Management, and Applied Project Management. All coursework is aligned with the Project Management Body of Knowledge (PMBOK® Guide), and the program is accredited by the Project Management Institute. Cohort delivery promotes a collaborative learning spirit, and the course combines the best of current theory with real-world practice for an immersive, all-round experience. Student support services include academic advising, career services, a writing center, tutoring, and more. For those interested in financial aid opportunities, Bellevue’s record is strong: 92% of full-time undergrads receive some form of tuition assistance. 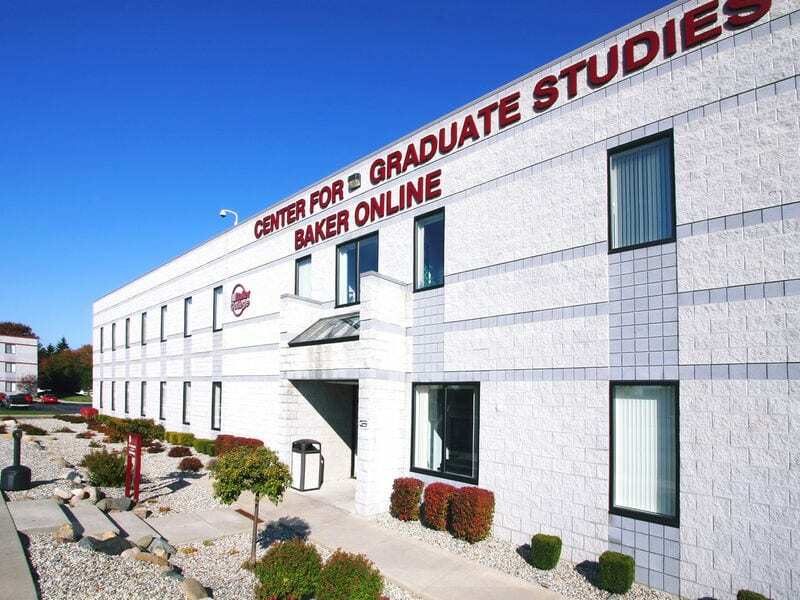 Founded in 1911, Baker College has thirteen campuses throughout Michigan – including Auburn Hills, Flint, Allen Park, Cadillac, and Port Huron – plus one campus in Reading, Pennsylvania. With a wide range of undergraduate, graduate, and pre-professional tracks, all Baker degrees are designed for maximum flexibility to accommodate working professionals and adult learners, including 24/7 access to course material. Further, for students who want the benefits of both on-campus and online classes, Baker offers offers hybrid delivery options. The university’s 16:1 student-to-faculty ratio helps to balance a collaborative atmosphere with tailored instruction. Baker offers an online BS in Information Systems with a concentration in Project Management. Major requirements include a range of IT courses, including Computer Operating Systems and Maintenance, Database Administration, Enterprise Architecture, Management Information Systems, Network Security, and programming classes. The PM concentration features courses in Project Planning, Negotiation Strategies, Project Cost and Budget Management, Contracting and Procurement, and a Senior Design Project in Project Management to incorporate an experiential component to the degree. Elective options allow students to customize the program to areas of professional interest, and the bachelor’s is designed to accommodate a variety of schedules. In addition to technical skills, Baker emphasizes practical soft skills for project management workers, such as communication, teamwork, and initiative. 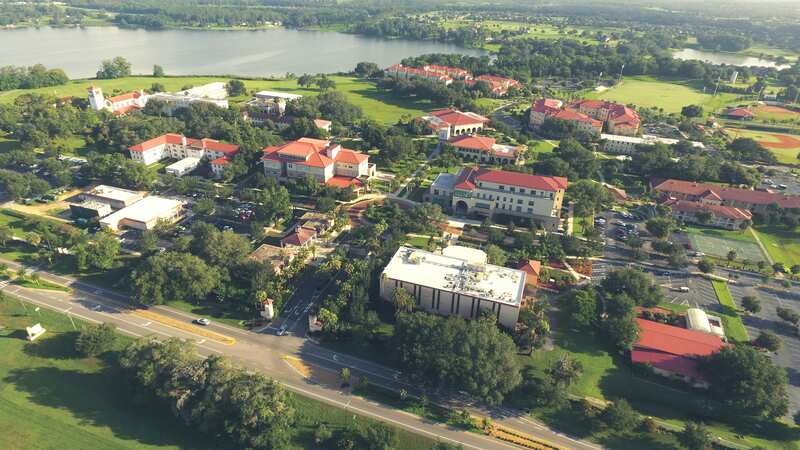 Founded in 1889, Saint Leo University is Florida’s oldest Catholic institution of higher learning, with a total enrollment of about 6,000 students, over 60% of which take online classes. Ranked among the best 60 schools in the South by US News, Saint Leo also places 23rd for overall value and in the top 40 for its veteran service. The university’s 14:1 student-to-faculty ratio encourages personalized instruction and collaborative education, supporting a tight-knit learning community that combines the intimacy of a liberal arts school with the resources of large research institution. For those prioritizing affordability, all Saint Leo undergrads receive some form of financial aid. Saint Leo offers an online Bachelor’s in Business Administration with a specialization in Project Management. Courses include Introduction to Logistics Management, Project Teamwork and Leadership, Quality Improvement and Management, Project Management Applications, and Project Risk Management, Cost Analysis, and Decision Making, among others. From there, students can hone and develop their project management skills through internship opportunities (past students have interned at AAA, Home Shopping Network, and TECO Energy); or develop professional relationships through Saints Leo’s annual International Business Conference. Previous graduates have gone on to careers at Citigroup Corporation, Boy Scouts of America, and the Tampa Bay Buccaneers. The degree is accredited by the IACBE. Founded in 1918, Ashford University specializes in online education and features programs in a variety of disciplines, including pre-professional, bachelor’s, and master’s degrees. According to a survey, 83% of Ashford students agreed or strongly agreed that course material was valuable; 85% agreed that quality of instruction was of high or very quality; and 91% reported being satisfied to very satisfied with their educational experience. 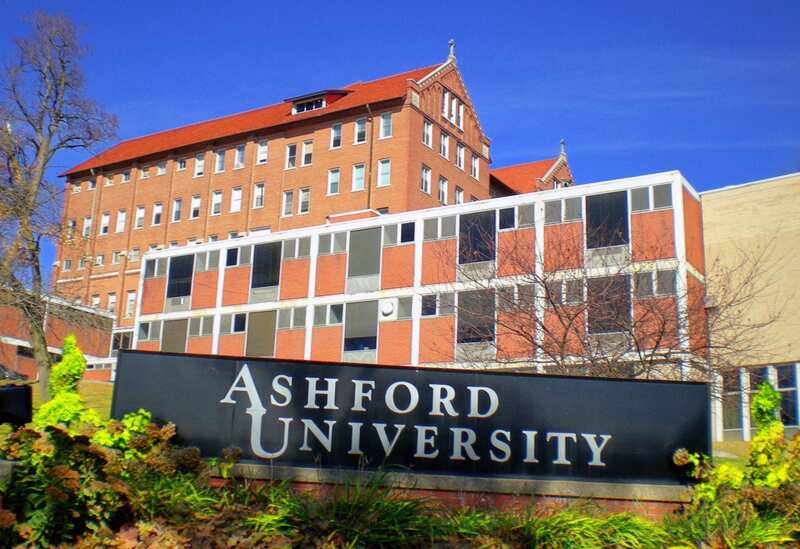 With nearly 66,000 online students, Ashford ranks as a global leader in online education. Still, despite its size, the 15:1 student-to-faculty ratio helps to maintain a tight-knit learning community, combining individualized instruction from expert faculty and peer-to-peer opportunities. Over 90% of undergraduates receive some form of financial aid. Ashford’s Forbes School of Business and Technology offers an affordable online BA in Project Management with 45 major credits covering areas like Strategic Management & Business Policy, Total Quality Management, Management for Organizations, Organizational Change, Project Procurement Management, Integrated Cost & Schedule Control, and Personal & Organizational Ethics, among others. All courses are designed for maximum flexibility to accommodate a variety of schedules, and 5-week delivery means you can complete the program on an accelerated track. (For students with previous bachelor’s work, up to 90 credits can be transferred into the program.) Upon completion of the degree, you’ll be able to: apply current project management practices to initiate, plan, execute, control, and close a project; evaluate and mitigate project risk; and leverage data to drive decision-making. Columbia Basin College, established in 1955, has an enrollment of about 6,500, including bachelor’s and associate’s students across a range of career-oriented disciplines. With an emphasis on online education, CBC maintains a 20:1 student-to-faculty ratio that promotes collaborative learning, individualized instruction from expert faculty, and a tight-knit community. 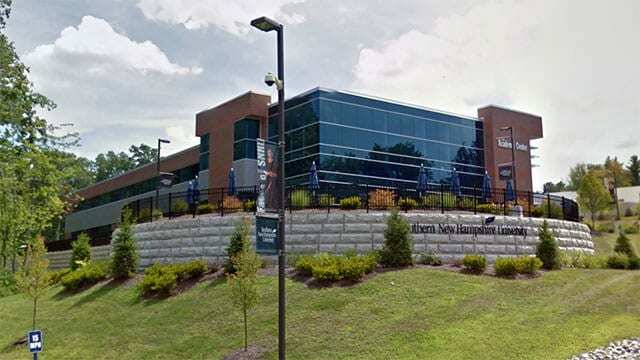 For students interested in affordable degree options, at least 60% of Columbia Basin students receive some form of financial aid, and the school’s price-tag tuition is the second cheapest on the list. CBC’s online bachelor’s in Project Management is accredited by the Project Management Institute (PMI). Major requirements include Project Execution & Control, Project Contracts & Legal Issues, Project HR Management & Communication Skills, Project Risk Management, and Project Monitoring, Control, & Earned Value, among others. In addition to rigorous academic work, Columbia Basin’s programs integrates several internship requirements to promote hands-on, experiential learning and give students the opportunity to develop practical skills. Because of the program’s building block course sequencing, many students are able to complete the degree on an accelerated track in as little as 3 years. For maximum flexibility, CBC also offers a two-year Associate in Applied Science and a one-year Project Management Certificate. 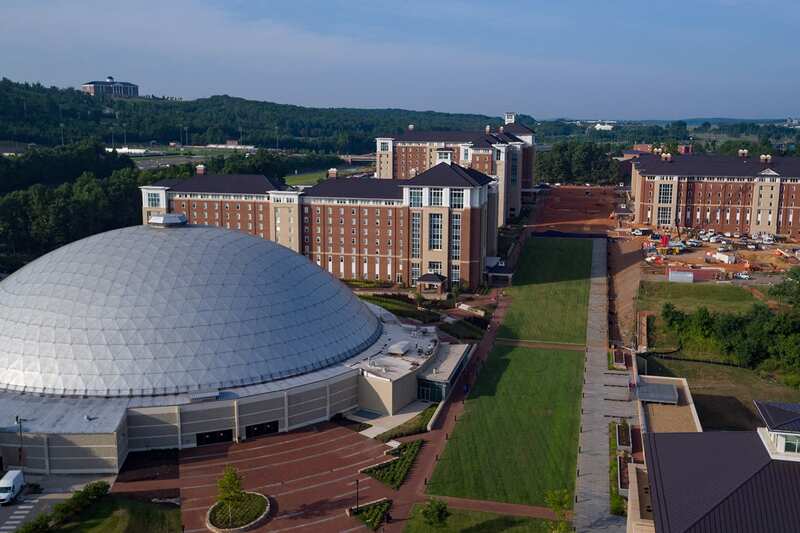 Founded in 1971, Liberty University is a private Christian school in Lynchburg, Virginia with 100,000 online students. As a global leader in distance education, all 250 of Liberty’s online programs are designed to meet the scheduling demands of working professionals, adult learners, and non-traditional students, with affordable tuition as well as several delivery options, including hybrid, intensive, and blended. For transfer students, Liberty’s generous policy allows students to waive credits through previous academic course work, work/life experience, MOOC certifications, prior-learning examinations, military service, and/or portfolio work. Last but not least, Liberty’s low student-to-faculty ratio supports an tight-knit learning community, with a third of classes consisting of fewer than 20 students. Over 95% of full-time undergraduates receive some form of financial aid, and undergraduate tuition has not increased in three years. Liberty offers an affordable online BSBA in Project Management that is accredited by the Accreditation Council for Business Schools and Programs and follows the PMI’s guidelines to help prepare students sit for the Certified Associate in Project Management. Major business courses include Managerial Accounting, Business Law, Operations Management, Strategic Planning/Business Policy, and Corporate Finance. Specialization courses cover Leading Global Projects and multiple advanced project management subjects. For maximum flexibility, Liberty’s program has eight start dates throughout the year and no set login times; further, accelerated 8-week delivery modules means students can finish the degree as fast as possible. Founded in 1877, Regis University is a private Catholic university in Denver with a total enrollment of 11,500 students. As a member of the Association of Jesuit Colleges and Universities, US News ranks Regis among the top 30 schools in the region, including recognition for veteran services and overall value. The 15:1 student-to-faculty ratio balances collaborative learning with individualized instruction and small classes – sixty percent have fewer 20 students. For those prioritizing affordability, 98% of Regis bachelor’s students receive some form of tuition assistance. Regis offers an online BS in Business with a Project Management specialization. Major requirements include courses in Professional Business Communication, Legal Environment of Business, Statistics, Business, and Information Systems. Upper division courses include Ethical Decision Making in Business, Business Finance, Organizational Behavior, Project Management, and Business Policy and Strategy, among others. To accommodate working professionals, adult learners, and non-traditional students, Regis offers accelerated 5-week and 8-week delivery options, and the program aligns with the PMI’s Project Management Body of Knowledge® Guide (PMBOK® Guide). Founded in 1904, Wentworth Institute of Technology has a total enrollment of about 4,200, the majority of which consists of undergraduate students. In addition to a top-75 regional ranking,US News highlights WIT’s overall value and affordability; 97% of full-time undergrads receive some form of financial aid. Further, with a 17:1 student-to-faculty ratio, Wentworth supports a dynamic, collaborative learning environment that also features personalized instruction from top-tier faculty. Wentworth offers an online BS in Project Management that features course work in Professional Communications, Leadership & Management, Organizational Behavior, Project Risk Management, Project Evaluation & Performance, and Project Planning, Scheduling & Control, among others. Capstone requirements add a hands-on component to the curriculum, and the degree follows the Project Management Book of Knowledge to ensure students learn the most up-to-date professional skills in the industry. Designed for working professionals and adult learners, all applicants should have at least 3 years of work experience, and WIT’s generous transfer policy allows students to waive general education requirements outside the major. For those interested in online and on-campus classes, the program is also available in hybrid delivery with accelerated seven-week courses. It is accredited by the International Assembly for Collegiate Business Education (IACBE). Established in 1970, American Intercontinental University is an online education institution (including campuses in Atlanta and Houston) with over 10,000 students, the majority of whom are undergraduates. Degrees are offered in a variety of career-oriented disciplines at the associate’s, bachelor’s, and master’s level. Designed for working professionals and adult learners, programs are highly flexible, and generous transfer policies, scholarships and grants, military discounts, prior learning credits, and tuition assistance programs help reduce the cost of tuition. Over 80% of students receive some form of financial aid. 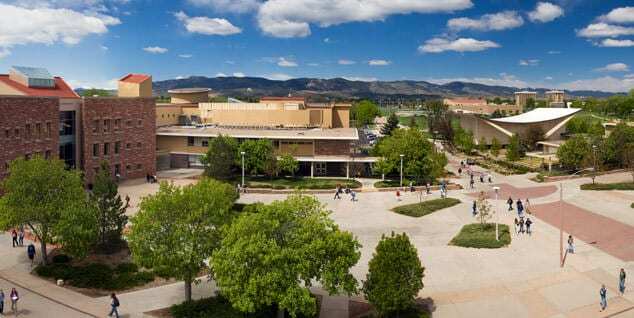 Founded in 1965, Colorado Technical University has a total enrollment of about 20,000, including a large population of online students. All Colorado Tech programs emphasize a career-oriented, practical curriculum that promotes professional development and skill-building. The 28:1 student-to-faculty ratio supports a dynamic, collaborative learning atmosphere, and CTU’s “My Unique Student Experience” program allows students to select a delivery format that fits their schedule, including 100% online, hybrid, and blended options for maximum flexibility. For students interested in tuition assistance, 80% of undergrads receive some form of financial aid. CTU offers an affordable online BS in Project Management that follows PMI’s Guide to the Project Management Body of Knowledge and is accredited by the ACBSP. Major requirements include Project Risk Management, Contracts and Procurement, Project Performance and Quality Assurance, Project Cost and Scheduling, Project Management Tools, and Human Resources within Project Management. From there, students complete a capstone to develop real-world skills and build a professional portfolio. All courses are designed to accommodate a variety of learners, accelerated tracks are available, and monthly start dates allow students to start the program according to their own schedules. CTU’s generous transfer policy allows students with previous credits or learning experience to waive course work outside the major. 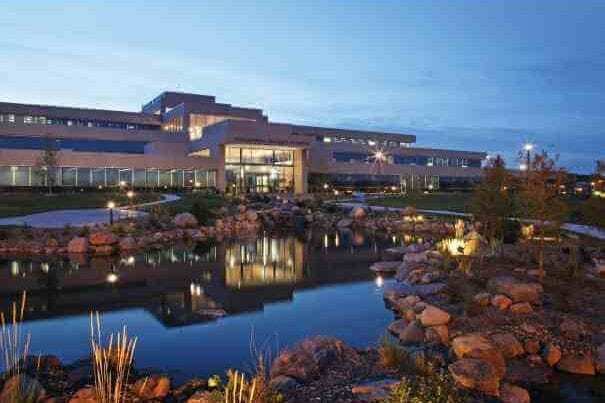 Colorado State University’s Global Campus, founded in 2007, has a total enrollment of about 12,000 online students. Forbes, Princeton Review, Bloomberg BusinessWeek, Washington Monthly, and Consumers Digest rank CSU among the best schools in the country. US News highlights the university’s overall value and high school counselor ranking. With an 18:1 student-to-faculty ratio, CSU Global combines a vibrant, collaborative learning environment with tailored instruction to support a tight-knit community; over a third of classes have fewer than 20 students and less than 20% have 50. For students prioritizing costs, over half of CSU Global students receive some form of financial aid. Colorado State offers an affordable online Bachelor’s in Project Management that consists of 30 major credits: Principles of Management, Effective Project Scheduling and Control, Assessing and Managing Risk, Total Quality Management, and Project Leadership, among others. To provide the program with an experiential aspect, students must complete both a capstone and practicum, and over a dozen specializations are available to tailor the degree to areas of professional interest, including Business Administration, Construction Management, Data Management and Analysis, International Business, and Strategic Communications. Students can also optimize the degree by completing CSU’s Awards of Completion and Skills Endorsements. The curriculum is aligned with the Project Management Institute’s Body of Knowledge, and the degree is accredited by the PMI. Founded in 1926, Embry-Riddle Aeronautical University is a private institution as well as the largest and oldest aviation-focused university in the world. Forbes features Embry-Riddle on its list of “America’s Top Colleges,” and US News ranks it among the top 15 colleges and universities in the South; additional rankings include 6th for innovation, 7th for veteran services, and 40th for overall value. With a total enrollment of 6,000, the school maintains a 16:1 student-to-faculty, promoting a collaborative learning environment and tailored instruction from top-tier faculty. A quarter of classes have fewer than 20 students, and 54% of students receive some form of financial aid to help keep tuition affordable. Embry-Riddle offers an online BS in Project Management that combines a business and PM core, with classes such as Introduction to Management Information Systems, Corporate Finance, Strategic Management, Management of the Multicultural Workforce, Global Project Management, and Project Management in Aviation Operations. From there, students can tailor the degree through elective options, or choose the university’s 4+1 model, which includes graduate-level course work. All courses are developed by faculty with Project Management Professional certification, and students have access to academic and career counseling. Founded in 1818, Saint Louis University is a private Catholic institution with a total enrollment of 12,300. US News ranks it among the top schools in the nation and gives SLU high marks for veteran services and overall value and affordability; 97% of students receive financial aid. Further, SLU’s 9:1 student-to-faculty ratio fosters a highly intimate, tight-knit learning community that balances personalized instruction and rigorous course work. Over half of classes have less than 20 students. Saint Louis’s online Bachelor’s in Project Management adheres to the PMBOK’s five basic project management processes: initiating, planning, executing, monitoring and controlling, and closing. Courses include Fundamentals of Contract Management, Project Selection and Scope, Communication-Stakeholder and Quality Management, Contract Supplier Administration, Multi-Project Management, and Project Management Leadership Ethics. 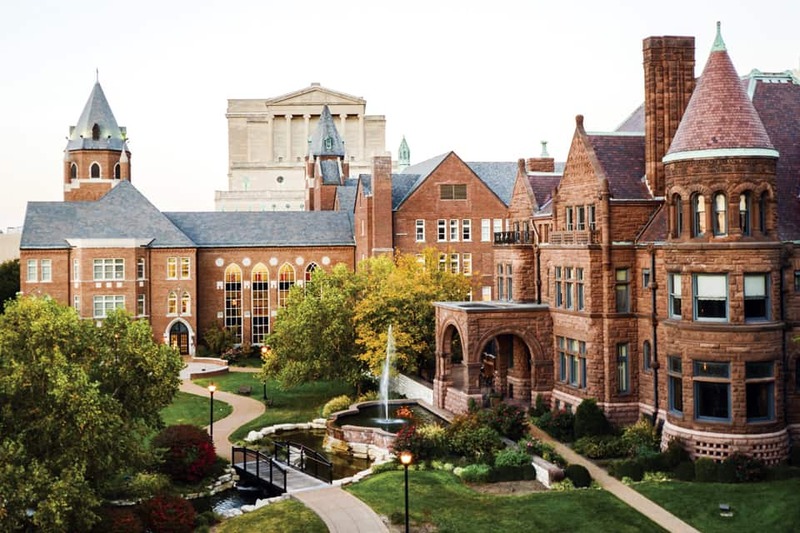 To add a hands-on aspect to the curriculum, all students also complete a project management lab and capstone project, and Saint Louis offers multiple certification options, such as PMP and ITIL, through the university’s Workforce Center. For those interested in a shorter track or have already earned a bachelor’s, SLU offers a minor and/or certificate, which exceed the contact hours required by PMI to sit for the certification exam. Founded in 1929, Marist College is a private Catholic liberal arts school located in Poughkeepsie, New York, with a total enrollment of 6,600. Among the top ranked schools in the region, Marist has been recognized by the Princeton Review, Forbes, and Kiplinger’s, which ranked the college on its list of best values in private colleges for eight consecutive years. US News ranks Marist 9th in the region and 2nd for value. With a 16:1 student-to-faculty ratio, courses are intimate and collaborative, and over 40% have fewer than 20 students. Over 90% of undergraduates receive some form of financial aid. Marist’s affordable online Bachelor’s in Project Management is designed for adult learners, non-traditional students, and transfer students, with an emphasis on real-world skills and professional development. (Many tracks are available, but the degree is technically defined as a Professional Studies Project Management Bachelor’s.) Courses include Economics of Social Issues, Introduction to Human Resources, Legal Issues in Organization, and Project Management, and multiple delivery options are available, including a hybrid of online and on-campus instruction. The 100% online option features accelerated 8-week blocks. Students are assigned an academic advisor to help set goals, and multiple entry dates per year means scheduling is flexible to fit your needs. 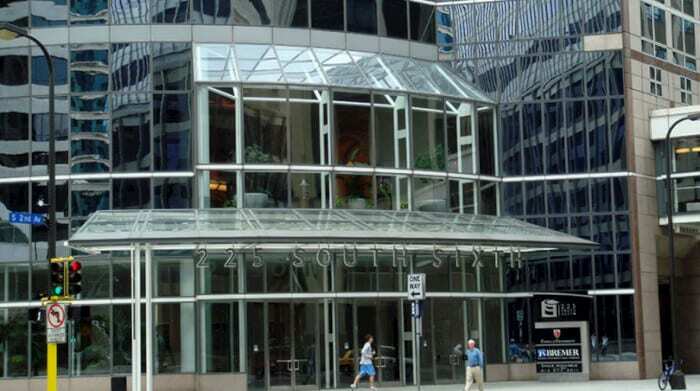 Founded in 1993, Capella University has over twenty-five years of experience in online education and 40,000 students from 50 states and 61 countries around the world. Most Capella students attend courses on a part-time basis, and all programs are designed to accommodate the scheduling demands of working professionals, adult learners, and non-traditional students. With an emphasis on career-oriented learning, Capella guides students’ professional development, and all faculty keep close connections to industry leaders to keep curricula ahead of the curve. Half of students receive financial aid. Capella offers an affordable online BS in Business with a specialization in Project Management, consisting of 10 core courses and 8 specialization courses. Example courses include Organizational Communication, Supply Chain Management, Integration and Scope Management, Communication and Stakeholder Management, Risk Management in Project Management, and Agile Project Management. From there, students can further tailor the degree through electives and concentration options in areas like Management Leadership and Business Intelligence. All courses are built for maximum flexibility, and Capella offers numerous accelerated and self-paced flex tracks. Students with previous academic credits can transfer up to 75% of requirements into the program. The program is accredited by PMI-GAC and ACBSP. Founded in 1932, Southern New Hampshire University is a global leader in distance education, with over 70,000 online students and 200 programs. US News ranks SNHU 1st in the nation for innovation, and Fast Company, The Chronicle of Higher Education, and New Hampshire Business Review have all highlighted the university’s dynamic education model. The 15:1 student-to-faculty ratio promotes a collaborative learning experience, including individualized teaching and faculty with years of online teaching experience. Over sixty percent of classes contain less than 20 students, and nearly 70% of undergrads receive some form of financial aid. Southern New Hampshire offers an affordable online BS in Operations Management with a specialization in Project Management. Course requirements include Continuous Improvement Tools and Techniques, Sustainable Operations, Project Contracting and Procurement, Resource Estimating and Scheduling, and Adaptive Project Management. Capstone projects give students the opportunity to apply concepts in a real-world setting, and students have the option to take Project Management for CAPM Certification, which covers PMBOK’s five process groups and nine knowledge areas. All courses are available online 24/7, and accelerated 8-week delivery blocks help students complete the degree in a timely fashion. Support services include academic advising, career services, generous transfer services, and more. 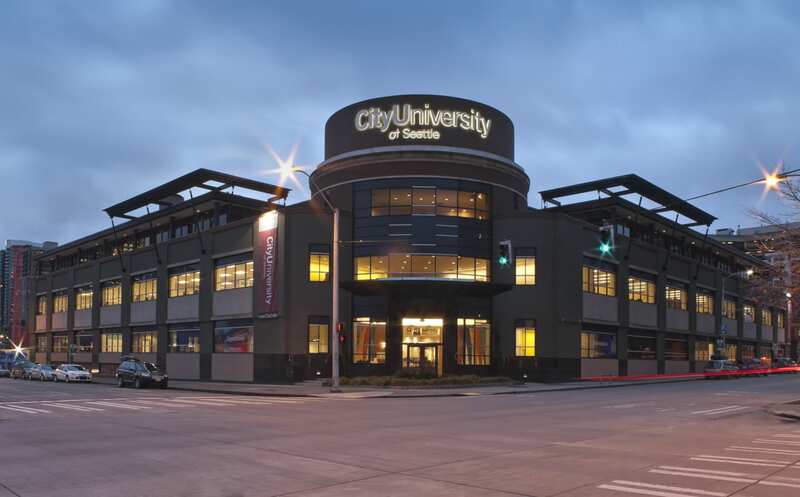 Founded in 1973, City University of Seattle specializes in online, flexible education for adult learners, working professionals, and non-traditional students. An 11:1 student-to-faculty ratio supports intimate classes, and instructors encourage collaborative, immersive, and career-oriented learning. Over 95% percent of students surveyed reported that they would see a return on the investment with CityU, and nearly half of students receive some form of financial aid to reduce tuition costs. It holds regional accreditation from the Northwest Commission on Colleges and Universities. CityU’s online BS in Project Management is an affordable, professional-focused program registered with the Project Management Institute and accredited by the ACBSP. Core requirements include Professional Communications, Project Scheduling and Cost Management, Leadership and Teams, Project Performance and Quality Assurance, and Agile/Scrum Methodologies, among others. From there, students build practical skills through a capstone project, and can customize the degree to areas of professional interest through an IT emphasis or create their own track through a specialized study emphasis. 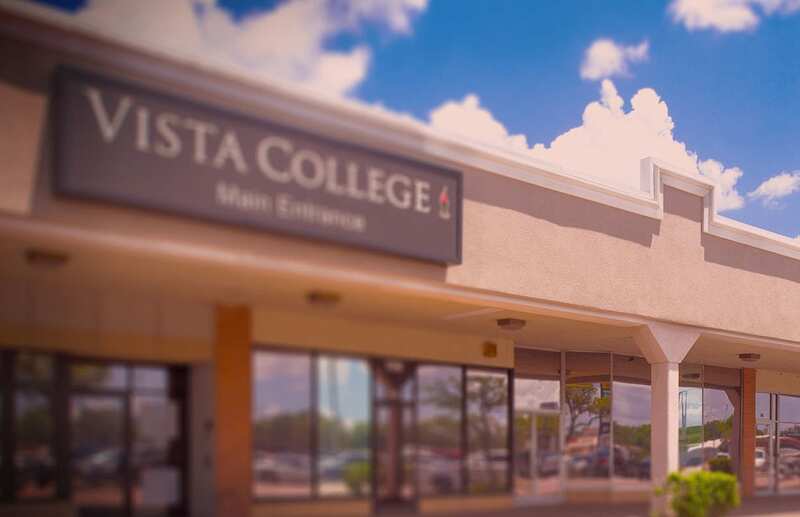 Vista College’s online campus offers student-focused programs to help build professional skill sets and advance careers in business, healthcare, technology, and other fields. Recognized as a Top Military Friendly Schools in the U.S. by Victory Media, Vista emphasizes high-quality, hands-on training, and is accredited by the Accrediting Commission of Career Schools and Colleges. With a 21:1 student-to-faculty ratio, the online campus is big enough to simulate a vibrant research institute while maintaining an intimate, tight-knit atmosphere. For those prioritizing costs, 80% of Vista students receive financial aid. Vista’s online BS in Project Management is an affordable, in-depth degree that combines rigorous coursework with experiential learning and skill development, including nearly 2,000 hours of training in areas like budgeting and procurement, communications, and management. All courses are designed for maximum flexibility to accommodate working professionals, adult learners, and non-traditional students, and multiple entry dates per year allow students to begin the degree according to their own schedule. In particular, students will learn to: plan a project and execute to completion; source materials and negotiate with suppliers; work effectively with a team of collaborators; perform quality control and other critical oversights; and evaluate the results of a completed project. 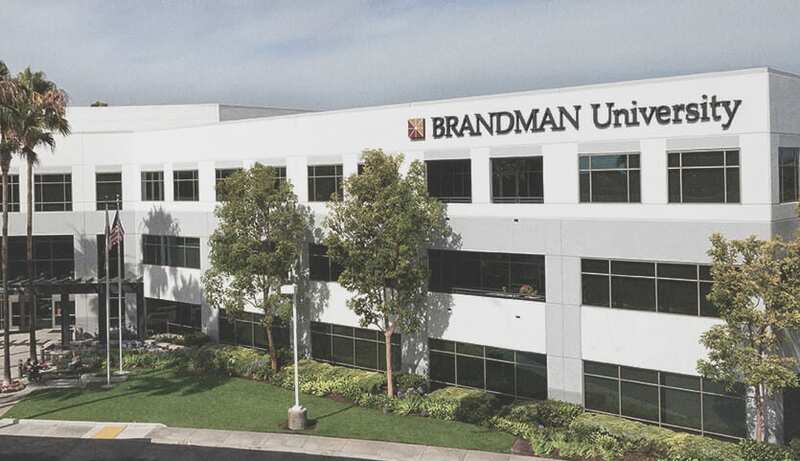 Founded in 1958, Brandman University has 25 campuses in California and Washington as well as an extensive online learning center. Specializing in adult education, Brandman’s signature curriculum model, Instructional Design for Engaged Adult Learning, combines flexible, tailored online instruction with career-oriented course work to give students a balanced educational foundation. The university’s 15:1 student-to-faculty ratio promotes individualized instruction, and over 80% of classes have fewer than 20 students. For those interested in financial aid opportunities, 60% of full-time undergrads receive some form of tuition assistance. Brandman offers an affordable online BS in Computing Technology with a Project Management emphasis that focuses on the latest technologies and transferable experiences in application building modules. Core requirements include Organizational Communication, Information Systems Security, Leadership and Professional Ethics, and Team Building. From there, students complete courses in Project Management for IS, Project Work Structure and Resource Management, Project Risk Management, and Organizational Development and Change. Designed for adult learners and working professionals, applicants must have 12 or more transferable baccalaureate level credits or the equivalent. In addition to online delivery, a hybrid online and on-campus track is available, and there are multiple start dates available throughout the year to help accommodate to students schedules. Upon graduation, students will be prepared to: analyze and leverage data for decision-making; apply logical reasoning to analyze IT problems; and create a complete set of systems analysis, design and implementation.